the North and the far Southwest. In rivers it may be present only as submerged leaves. 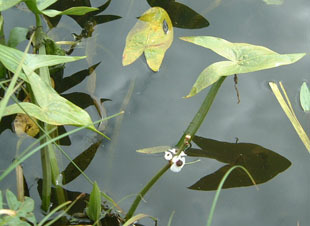 In slow moving water it has emergent leaves and flowers. 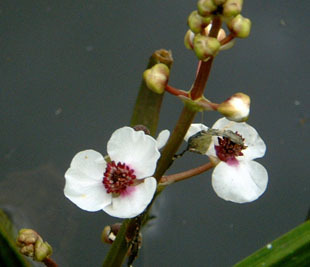 Flowers are 6mm and are open mainly in the early morning. 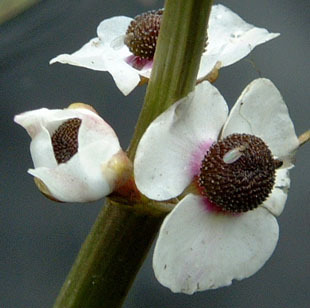 The 3 petals have purple patches at the base. Anthers are purple and numerous. 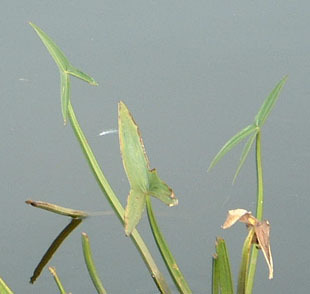 Aerial leaves are prominently arrow-shaped.